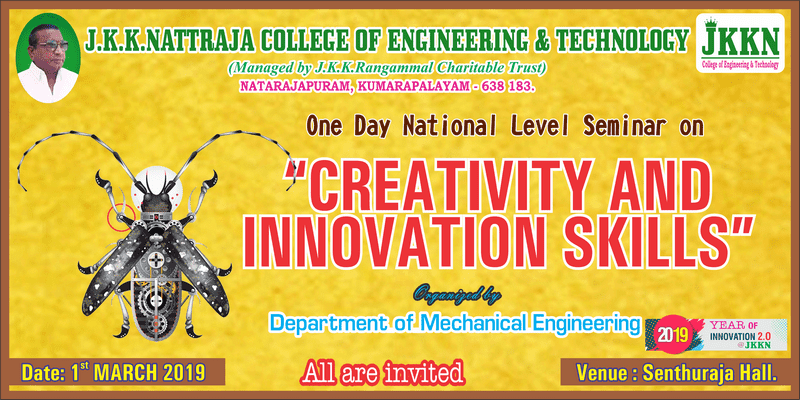 J.K.K.Nattraja College of Engineering and Technology, Kumarapalayam, the Department of Mechanical Engineering hosted one day National Level Seminar on the topic “Creativity and Innovation Skills” on 01.03.2019. Around 200 students got benefitted out of this seminar. 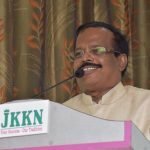 Prof. A.Thangathambi HOD/MECH welcomed the gathering. 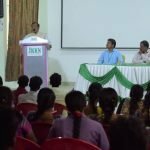 Dr.K.Tamizharasu, Principal shared the importance of this seminar and advised to make use of every available opportunity to enhance their skills. 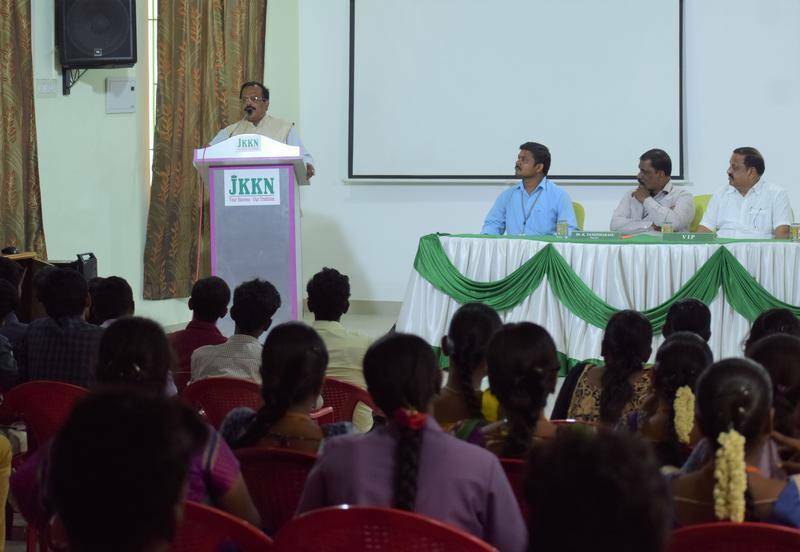 Mr. Radhakrishnan, Administrative Officer of the institution witnessed the seminar. 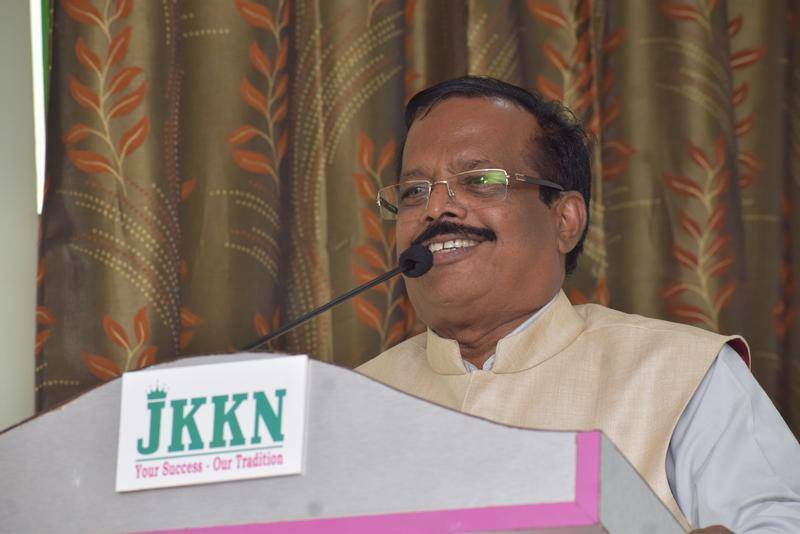 Mr.S.Ommsharravana Managing Director, J.K.K.Nattraja Educational Institutions presided over the event and said that the students should keep on updating themselves in new technologies for future betterment and also shared about the employment opportunities for Engineering Students in Defense Corridor and honored the Chief guest. 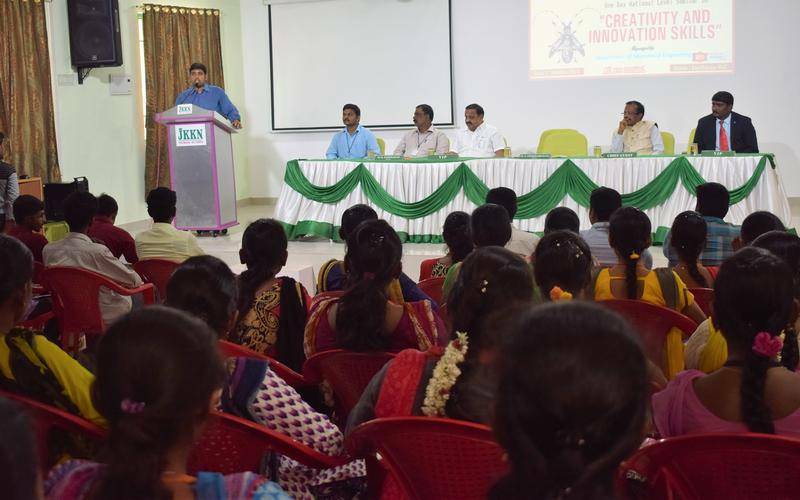 Mr. S. Rajendiran, Former Scientist, Defense Research and Development Organization, Combat Vehicles Research and Development Establishment, Avadi, Chennai, was the chief guest and he stressed the importance of skills necessary for the innovative ideas and shared the practical knowledge of many innovative ideas and the science behind it. Ms.D.Jency, III year Mechanical Engineering Student delivered the vote of thanks.